Note: This article discusses facilitating SOP 98-1 using Lotus Notes. For a discussion of managing SOP 98-1 with 100% Web based solutions, see this page. Under SOP 98-1, companies are required to capitalize and amortize the costs associated with developing or purchasing software for internal use. The capitalization of costs depends upon the stage of the project and only certain, specific costs may be capitalized. For example, during the preliminary stage of an internal software development project there is typically research of the technology to build the software. Any costs incurred in this activity must be expensed, as they are not a direct cost of the software’s development. Once the project moves past the preliminary stage into development, costs may begin to be capitalized. However, only external direct costs of materials and services utilized in developing or purchasing the software can be capitalized, not costs such as overhead. For example, if the organization contracts outside programmers to develop the project, it may capitalize the payroll (and certain payroll-related costs) for those programmers, but not their living expenses such as housing or vehicle rentals. If the organization chooses to purchase the software instead of developing it, they can only capitalize the actual software. Other costs, such as training, maintenance, typical data conversion routines, unspecified upgrades and re-engineering should be expensed as they are incurred. Complying with SOP 98-1 offers organizations a means to improve the way they manage information technology, to clarify its value and capabilities on an ongoing basis, and encourage a review of existing software assets and their performance. In this regard it often dovetails with an organization’s Sarbanes Oxley / Purchase to Pay initiatives, providing justification for procuring software or development services for internal projects. 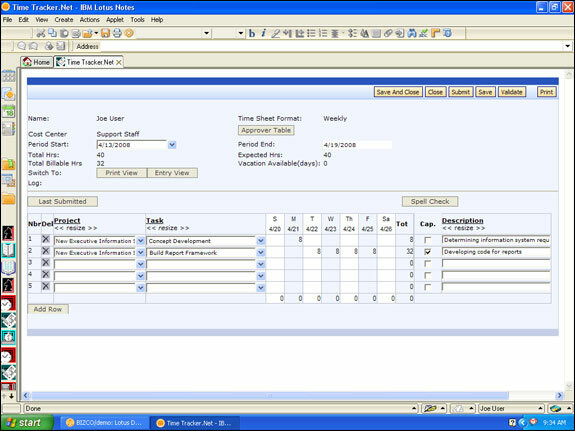 Tracker Suite is an integrated suite of Lotus Notes business applications that work together to automate workflow and streamline processes. Tracker Suite provides a structured environment that ties together projects, time and expense reporting, and purchasing, simplifying compliance with SOP 98-1. Project Tracker provides robust project management features, including workflows for project requisition, project templates, process templates by project type, milestones and process tollgates that may be leveraged for the preliminary stage of an internal software project. 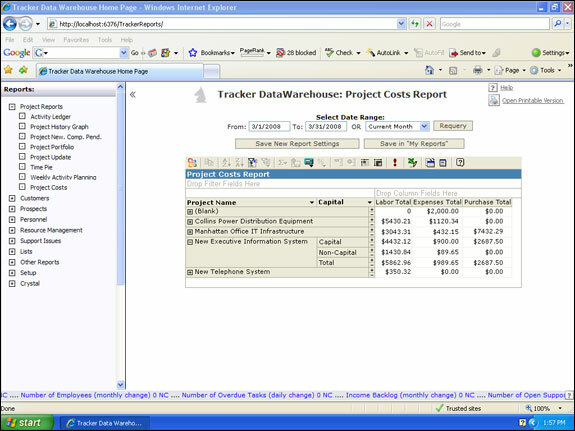 Project Tracker also offers bi-directional integration with Microsoft Project. In addition to setting up capital budgets for internal software projects, Project Tracker allows organizations to define project tasks with account codes, including whether the work is capital or non-capital. 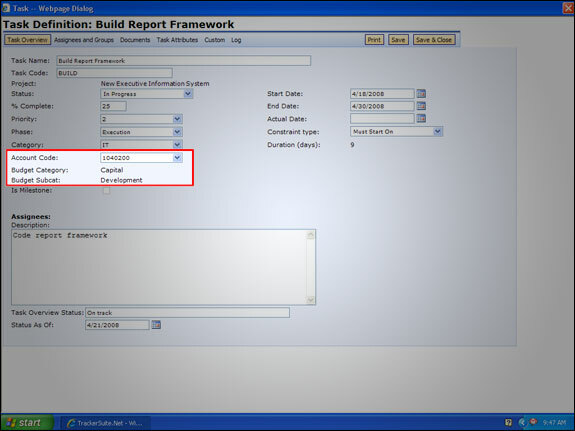 Project Tracker integrates with the following Tracker Suite modules, allowing costs to be tied directly to the project for improved reporting accuracy, Time Tracker , Expense Tracker and Purchase Tracker. Using Time Tracker, project teams can submit timesheets, with time assigned by line-item to internal software projects and their tasks. 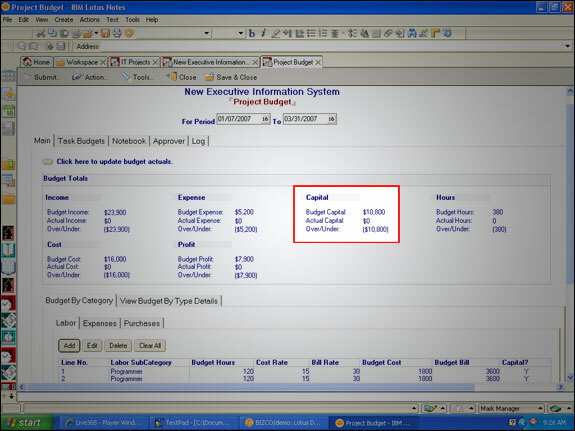 Tasks can be defined by account codes as capital or non-capital work. Users can also mark the time as capitalized by line-item, if the work falls within the development stage of the project. Expense Tracker allows users to report expenses from any location with support for multiple currencies and conversion rates. Expenses are charged against projects, and are assigned account codes (in the case of an internal software project in development, capitalized) by line item. 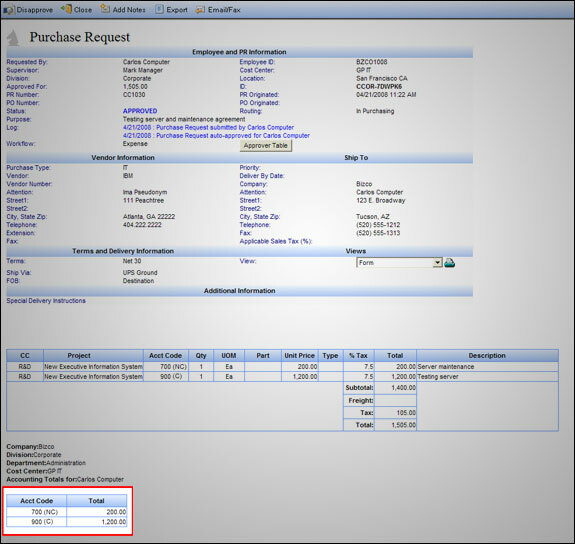 Using Purchase Tracker, project teams can submit purchase orders charged to internal software projects. A General Ledger section of the purchase order form allows portions of the purchase order to be charged against account codes as capitalized. All of these modules streamline and secure the cost reporting process, with automated approval routing and activity logs that collect electronic signatures for all edits and approvals. These modules are Web enabled, allowing users to submit timesheets, expense reports and purchase orders through Lotus Notes or via the Web. The data from the various Tracker Suite modules is pushed to the Tracker Data Warehouse, a Web based reporting engine. 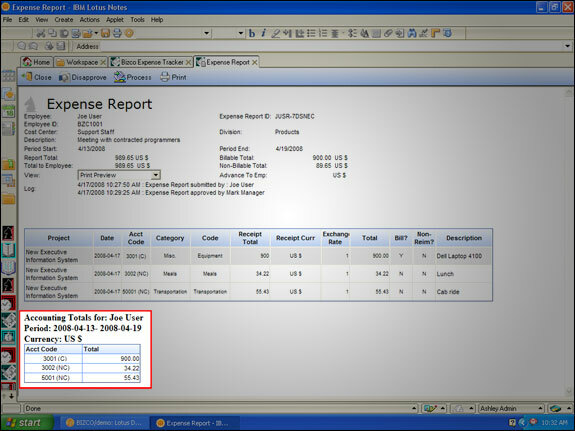 The Tracker Data Warehouse serves as a single point of access for business intelligence, receiving data from the Tracker modules as well as legacy HR and Accounting databases. With the real-time posting options offered with the release of Tracker Suite 8.0, the Tracker Data Warehouse can provide immediate reports on the progress and total costs, both capitalized and incurred expense, of internal software projects.